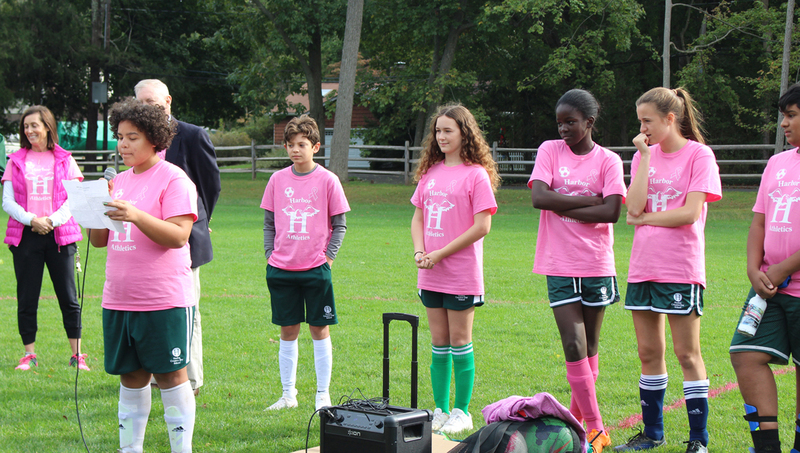 The field was dedicated to Mrs. Charles Miller, Jr., a founder of Harbor Country Day and former member of the school’s board of trustees. 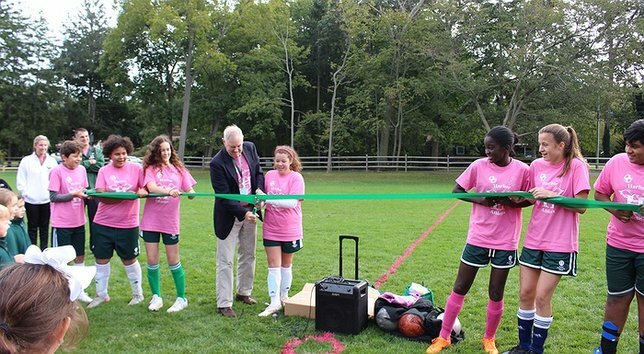 FieldRibbonCutting_HCDS student Julianna Sparacio helps Head of School John Cissel cut the ribbon. 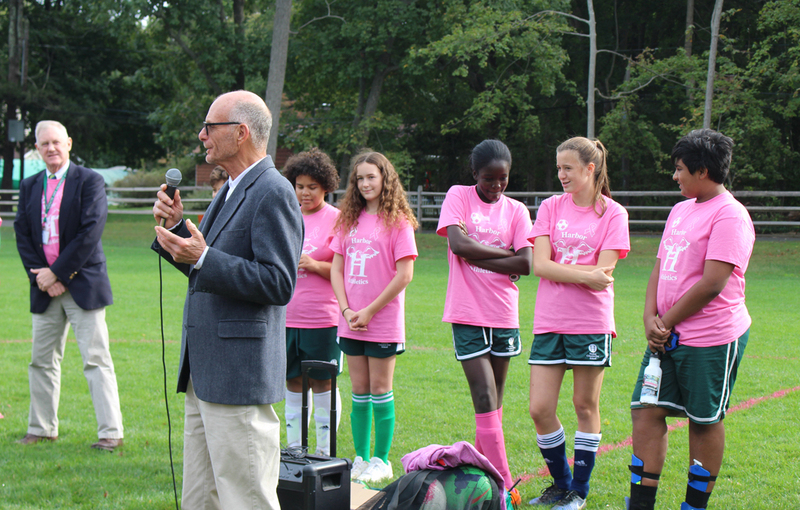 St. James, NY - October 22, 2018 - On Tuesday, October 16, Head of the Harbor Mayor Douglas Dahlgard and Chief of Police Chuck Lohmann joined officials and students from Harbor Country Day School to dedicate the school’s new athletic field to Mrs. Charles Miller, Jr., a founder of Harbor Country Day and former member of the school’s board of trustees. The renovation of the school’s field, known as Miller Field, was made possible by a philanthropic gift from a family who wishes to remain anonymous. 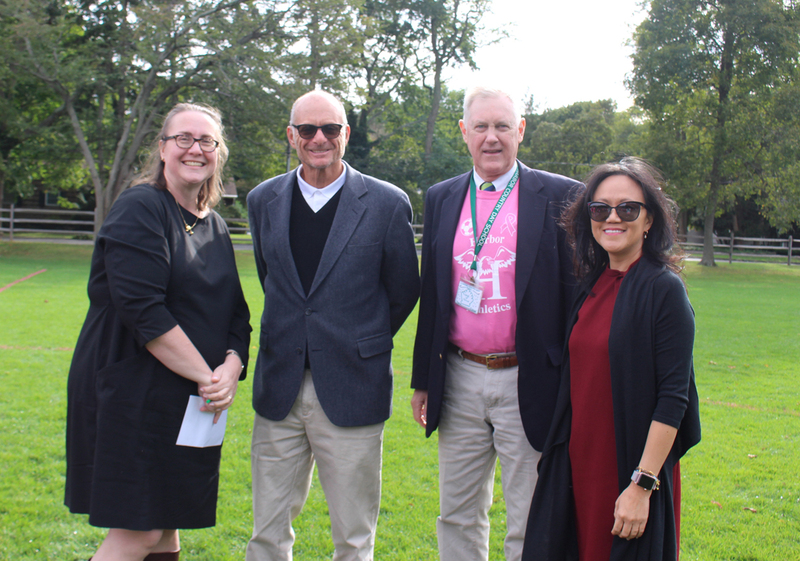 Festivities included remarks by Harbor Country Day Head of School John Cissel, Board Chair Corinne Hammons, Mayor Dahlgard, and Harbor Country Day student Caroline Hammons. 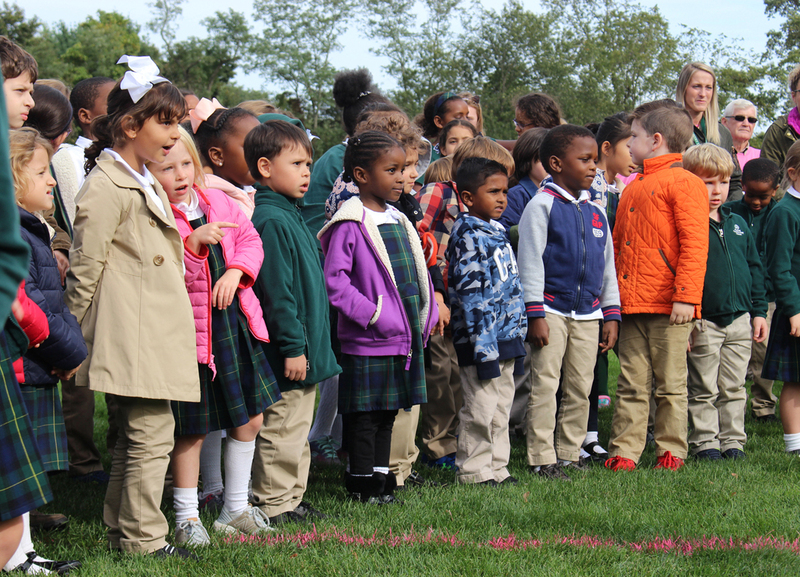 The school’s students from grades kindergarten through eight were in attendance to celebrate the occasion. Founded in 1958 by conscientious parents, Harbor Country Day School is an independent, co-educational day school for children from preschool through 8th grade situated in St. James’ Village of Head of the Harbor. The school employs a whole-child approach to education, wherein its rigorous curriculum is supported by a broad program in its academic, athletic, advisory, and visual and performing arts departments designed to develop all aspects of each child's talents and interests. Harbor Country Day School’s summer camp program, Camp Harbor, is among the leading summer camp programs on Long Island. The school’s mission to “cherish childhood, cultivate wonder, and inspire confident learners and leaders” underscores every child’s experience at Harbor Country Day School and ensures that all of its graduates are prepared to lead fulfilling lives filled with wonder, confidence, and many successes. Subject: LongIsland.com - Your Name sent you Article details of "Harbor Country Day School Dedicates New Athletic Field to Founder of School"